One photographic centerpiece that most certainly ends up in front of a photographer’s lens are bridges. And for good reason. Bridges capture our attention and often, because of their sheer size, they force us to take note of them. We marvel at their architectural majesty or we wonder over their history and the lives that have touched their surface. This is perhaps one of the secrets behind the popularity of bridge photography. Below is a brand new showcase which features bridges of all shapes and sizes. From the modern to the old, these carriers across gaps in our paths are the subject of this gallery of pictures. 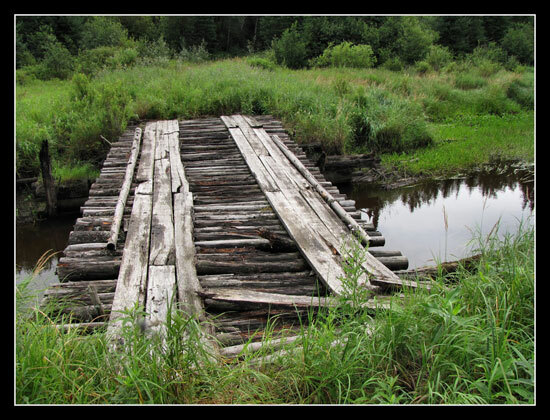 Whether they be stone, metal or made of wood, bridges are not always inspiring on their own. For some, it takes the photographer’s skills and lens to give these common structures more creative energy. While the showcase closes, the conversation doesn’t have to end here. Give us your thoughts on the collection, or point us in the direction of some other works that we missed. Show us your favorites. Either way, keep the inspiration going. Beautiful amazing pictures.. but some of these seem photo shopped.. well however, the artist is i must say is amazing..
See other bridge photographys here http://supercomentario.com.br/2010/03/27/pontes-legais-ao-redor-do-mundo/ .